As Musikal Husky’s first project, Rhythm Keeper, grew from group class worksheets to a comprehensive pedagogical approach, the need for an illustrator became clear. 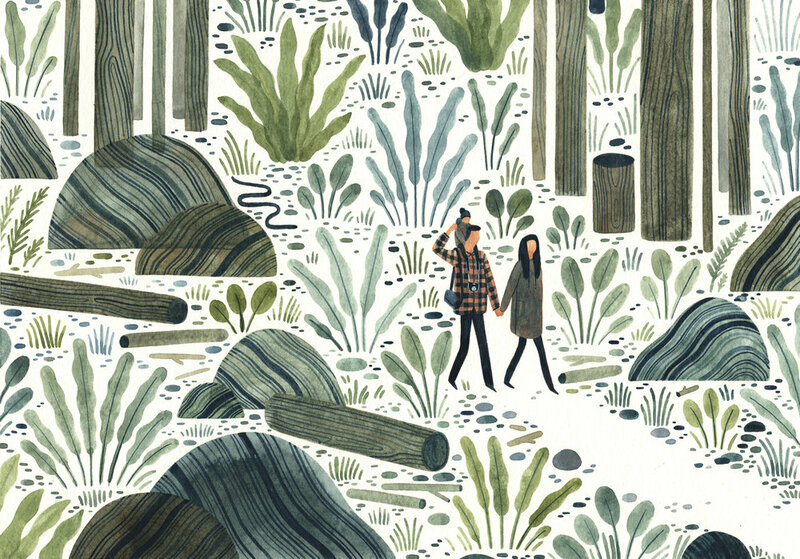 Maggie Chiang is indeed an illustrator, but so much more. We first met Maggie by way of Stephanie DeLancey, MH's Art Director and faculty at the Arts Center in Pasadena, California, who recognized Maggie’s talent and aesthetic as a perfect match for Musikal Husky. Maggie’s artwork not only captures the childlike innocence of our curious pupils, but also the adventurous spirit we strive to cultivate in both them and ourselves. 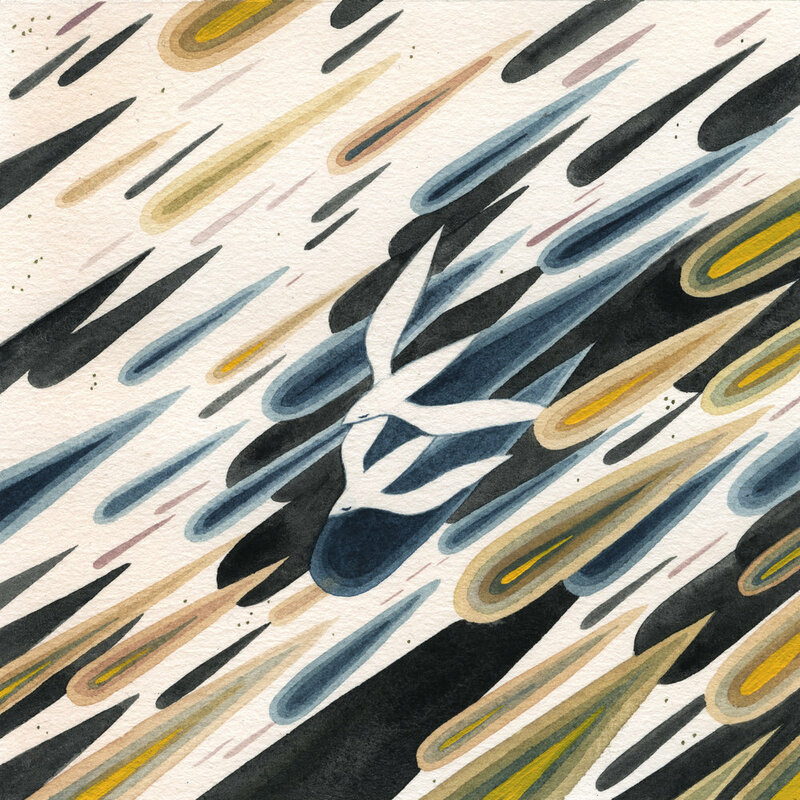 Whether in her fine pen work or captivating watercolors, Maggie never fails to cast vivid images of the dreams at Musikal Husky’s heart. We couldn’t be bigger fans and are thrilled to share with you her answers to our Musikal Journey questionnaire. I’m currently based in Culver City. Every journey has a beginning. When did your musical journey with an instrument begin? I think I've always loved drawing since a young age, and it was definitely the beginning of my curiosity of being creative. My musical education then began at the age of eight when I started learning how to play classical piano. Did this journey encourage you to explore drawing/painting? I think both art and music have taught me discipline and appreciation for each other. Has your journey as an artist had any unexpected turns or interruptions? I think just having ended up where I am now is pretty unexpected for me. When I was younger, I was never that great at art. I just knew that I loved it. I never won any art competition I entered as a kid, and even received some negative comments along the way. I think my first achievement in art was getting into the art college that I wanted to go to. And now, I'm really grateful to be able to work as an artist. Definitely family. I want to help my family out as much as I can, and they've always been supportive of the choices I've made. I definitely owe so much to them, especially my mom! Since Musikal Husky's first product is about rhythm, does the world of visual arts have an equivalent to rhythm? And if so, how are the two related? I see rhythm as the foundation of any music, and I think the equivalent to that in visual arts would be composition. Which is funny because the word can have two meanings, depending on whether we're talking about music or art. There is definitely rhythm in visual arts. For example, I sometimes think about how I want the painting to 'flow'. Whether I want it to be calm or loud, or even both! You not only create for yourself, but also for others, including high profile clients such as the New York Times and Washington Post. How do you prioritize under these dual roles? Tough question. I don't really think there is a balance between the two, but for now my top priority is work for others. I use my extra time to create for myself. But there are definitely some times where I just have an itch to scratch, and spend some time doing some personal work before diving into projects. What are your top three must-haves for any drawing desk? I enjoy keeping my drawing desk really simple, with a board, mechanical pencil, ball point pen; if I'm painting, with a palette, paint, paint brushes, paper towel and my handy collapsible water container. Do visual artists experience stage freight? I don't know if all visual artists experience it, but it could be common. I definitely have stage fright, and tend to like to have my artwork speak for itself. How do you reward yourself after completing a tough/demanding project? Buy myself something nice. Haha, not really, but kind of true. I love food, so sometimes I'll want to treat myself to something yummy! What advice can you give to young artists beginning to hone their craft? Work hard, and don't focus on having a 'style'. Which is definitely easier said than done, but the more you draw the more you know what you'll like. And in return your voice will come through.